RoMark manufactures the most durable labels available today, we have many bespoke materials which replace expensive, labour intensive, engraved plates. 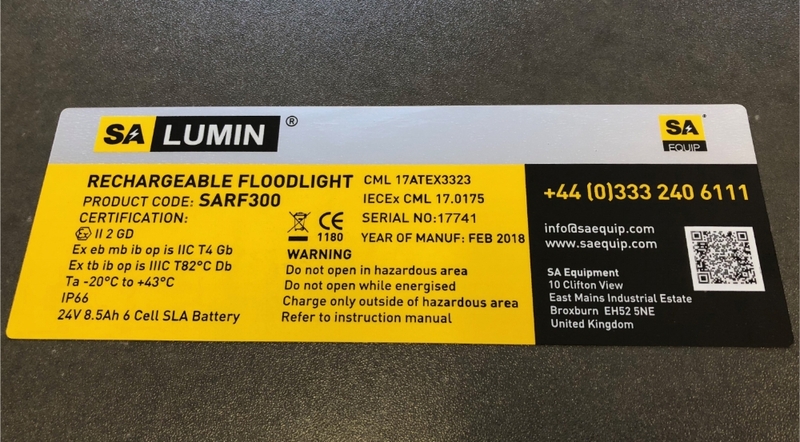 A well known global manufacturer of industrial CCTV's has moved from metal plates to RoMark high performance printable labels, these are quicker to apply, easier to print and clearer to read. These labels feature a unique super aggressive, double thick permanent solvent acrylic adhesive, ideal for smooth and heavily textured surfaces providing a permanent bond to a multitude of surfaces. Labels are resistant to abrasion, UV, severe off-shore weathering, abrasion, chemicals, UV, fuels and aggressive cleaning solvents, such as MEK, Acetone, Xylene to mention but a few. This label is pre-printed but a serial number is added at point of manufacture using a low-cost, thermal transfer printer and abrasion/chemical resistant resin ribbon. Computer printable, durable, high performance certification labels. sealing in the data and protecting it against hazardous conditions. +155ºC. Perfect for a whole host of applications. All types of hoses, wires, cables, wiring looms, assemblies, cargo harnesses etc.. The requirement was for a durable label, which was resistant to abrasion, water, oils and chemicals, to survive the industry burn test and to feature an aggressive adhesive which would bond to a variety of surfaces. This material performed extremely well in all tests and is now in use worldwide. RoMark is an NQA ISO 9001:2015 accredited company. In conjunction with our certification, we maintain a very high standard of Quality, Service and Delivery, which are covered in our documented QMS policy.